neighbors and classmates in Minnesota, the Palestinians our family friends, part of the handful of Arabs that we knew who gathered together for special occasions. I didn’t think of Norway and Palestine together beyond my childhood. One was all about snow and Nobel peace, and one was all about sunshine and the opposite of peace. 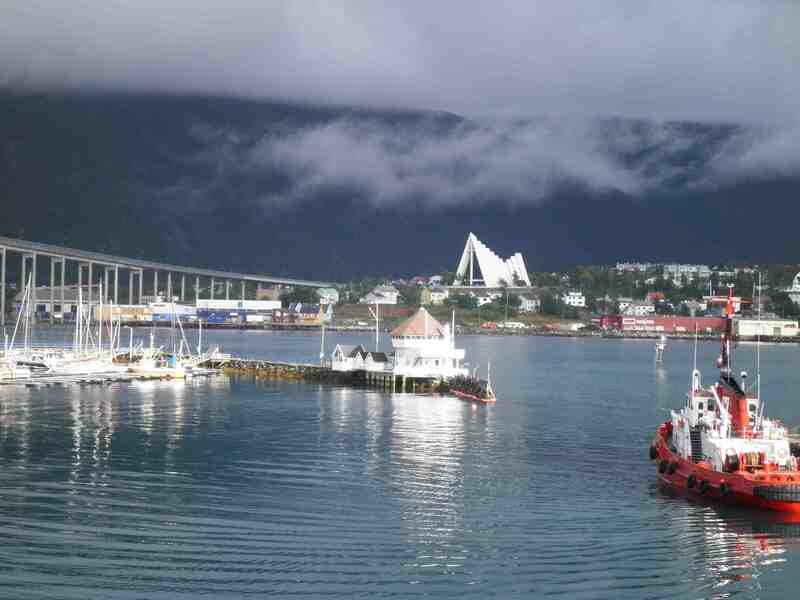 But this past year I went to Tromsø, Norway for a magazine article, and I discovered an unexpected link: It turns out that this small Arctic Circle city, gateway to polar bears and reindeer, is the sister city of Gaza. The answer to that question for many people from troubled lands is apparently Norway. Volunteering, whether abroad or at home, seems to be as much a part of Norwegian culture as waffles and jam. Knut teaches video production to high school students, and one of the Gaza Tromsø group’s projects is helping Gazans film their own stories. One young woman, Nehal Afana, a cinematographer in training, was even brought to Tromsø to learn about developing a film art center for youth in Gaza, like the Tvibit Filmhouse in Tromsø for aspiring local artists. “Yalla To Gaza” is a film made by Gazan director Ashraf Mashharawi and features Dr. Mads Gilbert, a Tromsø native. Along with fellow Norwegian Dr. Erik Fosse, were the only two foreign doctors allowed into Gaza during the 2008 bombardment. In the video, Dr. Mads talks about the dignity of the people of Gaza, but sitting above the Arctic Cirlce, listening to Knut talk about a place so far away, a place for which he has no obligation to help, I thought equally of the dignity of Norway and all people who help others just because they have the freedom to do so. This entry was posted in Arts and Culture, Palestine, Travel and tagged Gaza, norway, sister city, Tromsø, volunteering by Alia. Bookmark the permalink.